Steve Ballmer, CEO of Microsoft, while presenting the customer preview of SharePoint 2013, called the 2013 release one of the most ambitious projects that Microsoft has ever undertaken. So, what is all the buzz about? What’s new about SharePoint 2013? 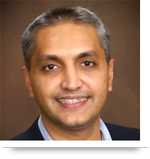 The answer is this- it redefines collaboration and document management in response to the current IT trends. The new Microsoft collaboration suite has adopted the latest trends in IT, such as the modern social networking platforms, cloud services and mobility. The new version of SharePoint lays special emphasis on efficient interaction with the cloud and inside it. A number of functions have been provided for contemporary forms of social collaboration, while collaboration using mobile end devices has also been made possible. ‘MySite’ is the social networking platform (taking after Facebook) that allows users to define their personal and public information within the intranet. Most basic functions of the previous version have been carried forward to the new version and it can be safely said that the new SharePoint has evolved from its previous version in order to provide better flexibility and collaboration to its users. The new version banks on modular and service-oriented architectures, in addition to open web standards to guarantee efficient cloud operation, even in complex scenarios. Transmission of data has been highly optimised and users can benefit from visibly enhanced response times. The new version also features a new alternative to custom code and sandboxed solutions in the form of isolated apps, which are made available through external systems hosted on the cloud. This enables a markedly smooth operation of SharePoint. The apps can be deployed through an in-house corporate marketplace or a global marketplace, where developers can upload and sell their apps. Additionally, Access apps for automated provision of SQL databases and apps to incorporate dynamic content from SharePoint and Internet into Office 2013 application have also been included. 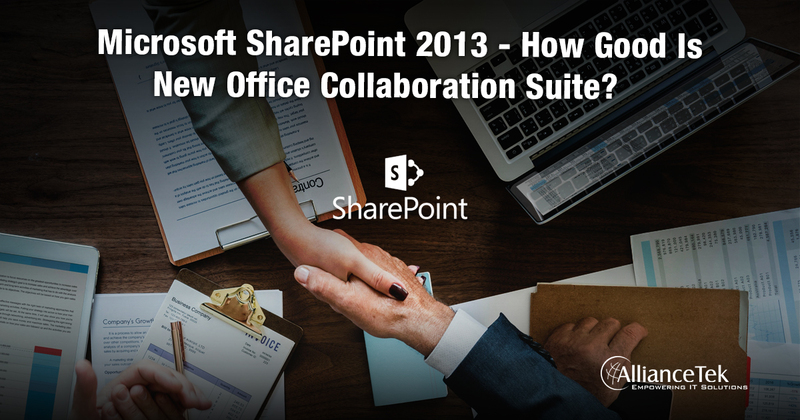 Call 484-892-5713 or Contact Us today to learn more about how Microsoft SharePoint 2013 is good with new office collaboration suite.